Fresh off her restaurant's revamp and rebranding, Violet Oon invites ten chef friends to her new show kitchen for a culinary workshop series that'll acquaint the food-keen with Hakka, Cantonese, Nyonya, Eurasian and South Indian cuisine. 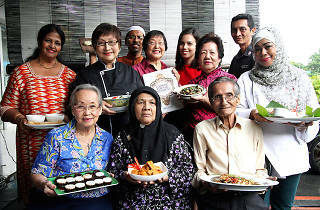 The line-up features Nyonya cookbook author and daughter of late president Wee Kim Wee, Wee Eng Hwa, TV cooking personality Sarah Benjamin and her Hakka cuisine expert aunt Mdm Kok Chun Lian, Malay chef Tania Aris and her mother Mariam Binti Abdul Ariff, and roti prata hawker Zulkifli Bin Packeer Bawa. 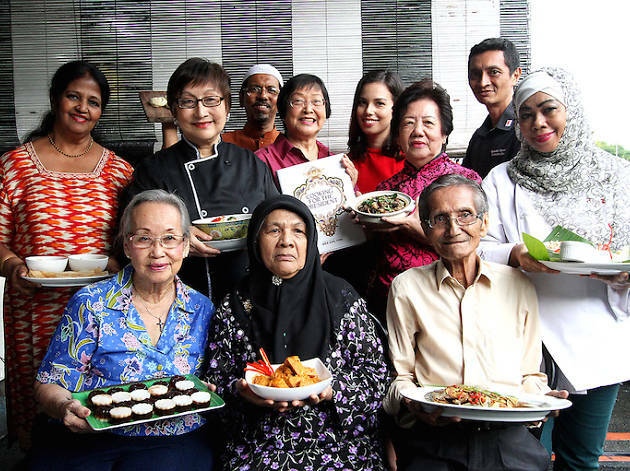 Other presenters incude chef Robin Pereira and his son, Quentin of the eponymous Quentin's at the Eurasian Community House and Oon herself, who'll partner with Nyonya Mary Yee to present Peranakan dishes like bakwang kepiting and satay ayam goreng. Workshop prices include a breakfast of dishes by the restaurant, including traditional Nyonya kaya and roti Violet with crispy spice tuna. Violet Oon's Living Culinary Treasures classes are organised as part of the Singapore Food Festival 2015.